For many reasons, as a concerned parent or an employer, you may need to track and monitor one or many iOS devices. Parents benefit from monitoring software by allowing them to have GPS location, geo-fencing, and access text messages, giving them peace of mind that they know where their child is at all times, all while protecting them from online bullying, or worse. Employers on the other hand, can directly benefit from installing spy apps on employee company iPhones and iPads. They help protect from theft, secure sensitive documents, GPS track vehicles, and improving overall productivity. Apple’s products are built with security in mind, and with Apple blocking all forms of monitoring and tracking apps from being sold on the Apple store, successfully monitoring your own iOS devices can be a bit frustrating for beginners. The good news is that it has never been easier to install spy apps on an iPhone as it is today. Although it is extremely easy to install and configure spy and tracking apps, it remains true that the iPhone or iOS device must be jailbroken for you to utilize the most sophisticated spy apps available. However, you do now have the choice of going with Jailbreak-free options, albeit being much more limited on features. This is where most beginners get utterly confused. Monitoring and tracking software is not allowed on the Apple Store because of possible abuse it would incur from regular people using it for the wrong reasons. So, in order to use most spy apps available for the iPhone, or any iOS device, as the device owner, you must make a choice between jailbreaking your iPhone/iPad, or you can use non-jailbreak options which work only with iCloud and provide a much more limited set of options. However those options may actually fit what you need, so do your research first. Jailbreaking your iOS Apple device is the process of unlocking the device in such a way that you can now install any apps, even if they are not available on the Apple Store. You should know that this does invalidate any remaining warranty on the device. However, it opens up capabilities beyond purchasing, downloading and installing spy software on your iPhone, such as customizing your UI with skins, adding shortcuts and extra menus, and a wide range of apps not available through Apple. Many people confuse rooting and jailbreaking, which although similar, rooting is the term used when unlocking an Android device, and does not apply to Apple devices. Why do you need to Jailbreak? As mentioned above, to avoid abuse by unwarranted usage of monitoring software, tracking and spy apps are not approved on the Apple Store. In order to install apps that are not from the Apple store, the iOS device must be jailbroken. As mentioned, in order to be able to install tracking software on your iPhone, you must have jailbroken it first. Although the process of jailbreaking is actually quite simple and not nearly as scary as it sounds, it may prove difficult for some non-technical users to achieve. If you have someone that can help you, this is a good option to take. If you’re comfortable with trying yourself, head to our guide on how to jailbreak your iPhone. By using this method, you can buy and install any spy software services that offer the most tracking features, ranging from recorded calls, spy on text messages, social media, email and so forth. A multitude of tracking and monitoring capabilities are also available, such as GPS location, and live camera feeds. 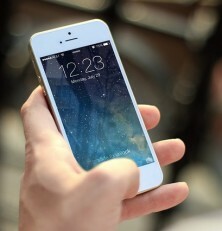 If you absolutely do not want to jailbreak, spy app makers have developed jailbreak-free methods of spying on iPhones, iPads and iPods. This method works without having to install any apps on the iOS device itself. Instead, jailbreak-free methods are capable of monitoring iCloud backups only. In order for you to use this method, you must have the Apple user ID and iCloud password setup for the device. It is also important to ensure that iCloud backups are turned on. This method does not provide you with any advanced features, and is limited to what iCloud can backup, but it is nevertheless a way to spy on iOS without jailbreaking, and can sometimes include various IM app chat logs. If you do NOT wish to jailbreak, and are ok with only iCloud backups, head to our jailbreak-free page for more information on available options for your cell phone or tablet. 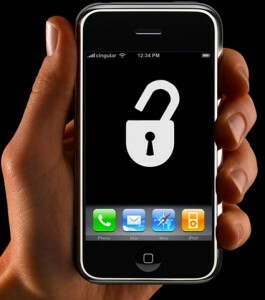 The suggestions made below are for Jailbreak – Jailbroken iDevices. These apps will work on iPhones and iPads on any jailbreak compatible version of iOS. Alternatively, click the link mentioned above this section for suggestions on no-jailbreak options. 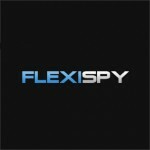 In first place, I ranked FlexiSpy for having the most features and capabilities across many iOS versions. If you’re looking for top of the line iPhone spy software, and don’t mind paying a higher price, it is well worth the investment for a quick setup, frustration free configuration, and visually pleasing platform to quickly access the data and remote control features. Support is decent after purchase, and they will help you with technical difficulties when setting up your cellphone. The service is fully compatible with iPad on the Premium plan only, but exclusively supports remote camera and ambient recording features. If you made a mistake, and purchased the service for an incompatible cell phone, they will reimburse you no questions asked. The refund policy is respectable, and only forces pro-rated refunds if they can prove that the app was installed and collecting data. Otherwise, if you never successfully used or installed the app, or if a feature listed as compatible did not work, FlexiSpy will provide a full refund. The Premium plan offers all features that do not include voice, or video recording. You will have access to all test message and IM compatible logs, including compatible VOIP app chat logs, call logs, web search history, GPS locations, address book, iMessage, Facebook, Skype, WhatsApp, photos, videos, and more. The list goes on, but does not include the capability to listen to and record phone calls, or remotely control the camera and microphone. For remote control and call recording features, the Extreme plan costs more than twice as much as the Premium one. This is a serious jump in price, but FlexiSpy knows they have cornered the market, as most competitors have been forced to remove call recording and remote control features from their apps by U.S. officials. The Extreme edition even includes a couple of questionable features: a password cracking tool and a spoofing tool which allow you to sniff out login passwords used on virtually any account. Only you can judge if the cost is justified by your needs. In second place, I ranked mSpy as the best iPhone and iPad spy app, however for many it may as well have ranked first. The user interface is pleasingly easy to use, and the app quick to install and configure. The service offers the same wide variety of features as FlexiSpy, with the exception of their very expensive remote call and video recording features. Like many other similar services, mSpy have been forced to remove these features that can be invasively abused by unauthorized users. Otherwise, the app does everything from call logs, spy on text messages, emails, calendars, IMs, Social Media, and more. The service also includes Geo-Fencing with live GPS tracking, a keylogger, and the ability to block calls, apps and websites. Just recently they also started exclusively supporting Tinder monitoring. Refunds made for mSpy cell phone spying app plans must qualify for a full refund. The service comes with pretty good after sale technical support, but it must be followed in order to qualify for a refund. If you happen to buy and not have access to the phone, no internet, or refuse technical assistance, mSpy reserves the right to refuse the refund. Even if the software was not used, or you changed your mind, you might not get it. Pricing for iOS devices is split into two plans; Basic and Premium. The Basic plan offers a shorter list of features that do not including Geo-Fencing, Keylogging, App, Calls, and Website Blocking, or any instant messenger support. Supports a respectable amount of features for a budget price. On the Basic plan, mSpy provides spying on text messages MMS, iMessage, call history and contact lists, website history, calendars and notes, emails, bookmarks, saved photos and videos, GPS location tracking, and even the ability to set keywords that ring an alarm. For example, you can set it so that if the user uses a certain word in a text message or email, it will alert you. The Premium plan option provides advanced features such as Geo-Fencing, which allows you to set a geographical perimeter, and if the device crosses it, you instantly get notified. This can be useful for both parents and employers. A keylogger is included, as well as full logging of instant messenger apps. You can also block apps, incoming calls, or websites, as well as get Wi-Fi network control and details down to the location of the Wi-Fi network the device connects to. 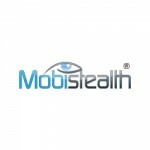 Mobistealth comes in third best spy app for iPhone, but it matches very closely with its competitors. For starters Mobistealth still offers call recording, remote microphone recording, as well as keylogging and taking remote screenshots of the device. Unfortunately, remote features and call recording are not supported on iOS, making it less competitive for Apple devices. It also supports a shorter, but still respectable list of IM apps, and all the other popular features such as text message spying, email, calendars, contacts, and GPS location tracking. All in all, still a good choice if it meets your needs, and qualified to be in the top 3. Mobistealth has a good refund policy that includes a full refund for iOS plans in the case where you have been unable to successfully install or use the app on your targeted device. However, no refund will be provided for iOS plans if it was used and stopped working due to a phone reset or iCloud being disabled. This is the plan to pick if you have a jailbroken iPhone, as the only excluded features are reserved for the jailbreak free plan, and includes more functionality. Viber, Kik and Line IM chats are all NOT supported, and can only be logged on non-jailbroken iPhones, however, the jailbreak offers much better and advanced features. I suggest the Premium Plus should be ignored for jailbroken users, since the only additional features are Viber, Kik and Line IM chat logs that can only be used with no jailbreak. All the basic and jailbreak only features are offered on both plans, so there is no incentive to pay more for the Plus plan. Overall, these three apps tested best on iDevices compared to competitors on function, compatibility, ease of use, security, privacy, and pricing. FlexiSpy will provide the most features if you’re willing to pay for it, while mSpy and Mobistealth both provide a good set of tools for a competitive price. In my opinion, mSpy does beat out Mobistealth on iOS devices, but on Android, Mobistealth has better remote features, such as call recording. With all of this covered, my personal opinion is that your choice should probably revolve around FlexiSpy and mSpy, and the choice made depending on your needs, budget, and available functions offered. What about No Jailbreak iPhone Spy Apps? As previously mentioned in this post, this list specifically qualifies the best apps for jailbroken devices. Follow this link if you wish to explore no jailbreak services, and learn more about the specific features offered by both mSpy and Mobistealth.